Thomas Connally, the son of a Confederate Army soldier, was born in McLennan County, Texas, on 19th August, 1877. After graduating from the University of Texas he became a lawyer in Marlin. A member of the Democratic Party, Connally was elected to the House of Representatives in 1900. At the time he was a progressive who was opposed to monopolies. However, he became disillusioned with politics and resumed his law practice. Connally served as Falls County prosecuting attorney from 1906 to 1910. In 1916 Connally returned to politics when he was elected to Congress. He joined the House Foreign Affairs Committee and became a strong critic of United States policy in the Caribbean. Connally was also an active opponent of the Ku Klux Klan and defeated a Klansman, Earle B. Mayfield in 1928. Connally was originally a supporter of President Franklin D. Roosevelt and his New Deal policies. However, he came under pressure from wealthy oilmen in Texas and he gradually moved to the right. Ross Sterling was elected governor of Texas and he took office on 20th January, 1931. At this time the major oil producers in Texas were concerning about the fall in price of oil. The Texas Railroad Commission, under the control of these companies, attempted to limit the production of oil (prorationing) in the new fields of East Texas. On 31st July, 1931, the federal court in Houston sided with a group of independent oil producers and ruled that the Texas Railroad Commission had no right to impose prorationing. Large oil companies in Texas such as Humble Oil were in favour of prorationing and Sterling came under great pressure to intervene. On 16th August, 1931, Sterling declared martial law in Rusk, Upshur, Gregg and Smith counties. In his proclamation Sterling declared that the independent oil producers in these counties were "in a state of insurrection" and that the "reckless and illegal exploitation of (oil) must be stopped until such time as the said resources may be properly conserved and developed under the protection of the civil authorities". Sterling now ordered the commander of the Texas National Guard, Jacob F. Wolters, to "without delay shut down each and every producing crude oil well and/or producing well of natural gas". Wolters who was the chief lobbyist of several major oil companies in Texas, readily agreed to this action. Wolters used more than a thousand troops to make sure that the oil wells in East Texas ceased production. 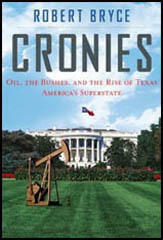 The Texas Railroad Commission was now in firm control of the world's most prolific oil fields. 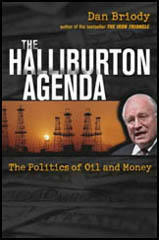 It now controlled the supply of the oil in the United States. As a result, the price of oil began to increase. Franklin D. Roosevelt attempted to push a bill through Congress that would give his Secretary of the Interior, Harold Ickes, the authority to regulate domestic oil production. However, Sam Rayburn, a politician from Texas, as chairman of the House Committee on Interstate and Foreign Commerce, was able to kill the bill. It was left to Connally to sponsor the Connally Hot Oil Act. This gave the Texas Railroad Commission the authority to proration oil. Connally now became one of the leaders of the right-wing opponents to Roosevelt. This including leading the fight against those attempting to pass anti-lynching legislation. The National Association for the Advancement of Coloured People hoped that the election of Roosevelt in 1932 would bring an end to lynching. Two African American campaigners against lynching, Mary McLeod Bethune and Walter Francis White, had been actively involved in helping Roosevelt to obtain victory. The president's wife, Eleanor Roosevelt, had also been a longtime opponent of lynching. Robert F. Wagner and Edward Costigan agreed to draft a bill that would punish sheriffs who failed to protect their prisoners from lynch mobs. In 1935 attempts were made to persuade Roosevelt to support the Costigan-Wagner bill. However, members of the Democratic Party from the Deep South warned Roosevelt that white voters in the South would never forgive him if he supported the bill. Connally led the fight against the Costian-Wagner proposals. Although the anti-lynching proposals received a great deal of support from members of Congress, Connally's filibuster tactics were able to stop it becoming law. However, the national debate that took place over the issue helped to bring attention to the crime of lynching. In December 1940 President Franklin D. Roosevelt made a speech where he proposed selling munitions to Britain and Canada. Isolationists like Connally and Arthur Vandenberg argued that this legislation would lead to American involvement in the Second World War. In early February 1941 a poll by the George H. Gallup organisation revealed that only 22 percent were unqualifiedly against the President's proposal. It has been argued by Thomas E. Mahl, the author of Desperate Deception: British Covert Operations in the United States, 1939-44 (1998), has argued that the Gallup organization had been infiltrated by the British Security Coordination (BSC). Michael Wheeler, the author of Lies, Damn Lies, and Statistics: The Manipulation of Public Opinion in America (2007) has pointed out how this could have been done: "Proving that a given poll is rigged is difficult because there are so many subtle ways to fake data... a clever pollster can just as easily favor one candidate or the other by making less conspicuous adjustments, such as allocating the undecided voters as suits his needs, throwing out certain interviews on the grounds that they were non-voters, or manipulating the sequence and context within which the questions are asked... Polls can even be rigged without the pollster knowing it.... Most major polling organizations keep their sampling lists under lock and key." It has been argued that both Connally and Arthur Vandenberg were targeted by British Security Coordination in order to persuade the Senate to pass the Lend-Lease proposal. Mary S. Lovell, the author of Cast No Shadow (1992) believes that the spy, Elizabeth Thorpe Pack (codename "Cynthia") who was working for the BSC, played an important role in this: "Cynthia's second mission for British Security Coordination was to try and convert the opinions of senators Connally and Vandenberg into, if not support, a less heated opposition to the Lend Lease bill which literally meant the difference between survival and defeat for the British. Other agents of both sexes were given similar missions with other politicians... with Vandenberg she was successful; with Senator Connally, chairman of the Senate Committee on Foreign Relations, she was not." On 11th March 1941, Congress passed the Lend Lease Act . The legislation gave President Franklin D. Roosevelt the powers to sell, transfer, exchange, lend equipment to any country to help it defend itself against the Axis powers. A sum of $50 billion was appropriated by Congress for Lend-Lease. The money went to 38 different countries with Britain receiving over $31 billion. Over the next few years the British government repaid $650 million of this sum. 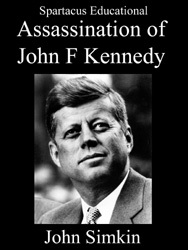 As chairman of the Senate Foreign Relations Committee (1941-1947) he helped draft the charter of the United Nations. Connally also supported the formation of the North Atlantic Treaty Organization. 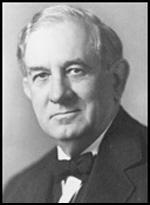 Connally upset the Southern Caucus with his support of Harry S. Truman in the 1948 presidential election. Attempts to unseat Truman by supporting Storm Thurmond ended in failure. Connally now came under increasing pressure from right-wing sources in Texas and he eventually decided to resign from the Senate. Thomas Connally died on 28th October, 1963.